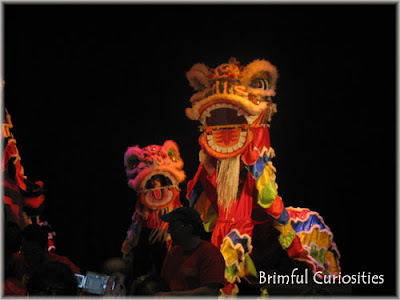 A month ago we saw our first lion dance during a Chinese New Year celebration in our city. Amazing! The kids loved it. Sooo cool! I can't wait to take my kids to see neat things like this celebration. So colorful. I bet you all were mesmerized by it all. Love the colors. Nice shot. How neat! I'd love to take my son to something like that! Very cool! My son would love that because of the dragons. That is cool! I would love to see something like that. That would be really neat to see! they are so colorful, I would love to see them in person! Oh that is so cool. I haven't been able to make a celebration like that because it is always busy season for me. I'll have to try again next year. Thanks for sharing the photo. That's awesome, I'd love to see that and I'm sure my son would too.